Almost all of us will suffer from acne in our lives, some worse and some longer than others. Although this is something that is associated with our teens acne can stay with us into our adult years, so what acne treatments are available for adults to finally “pop the zit” once and for all? Acne Treatments – You Sure You Have Acne? Although acne is a common thing we need to be sure what we have in order to be able to treat it. 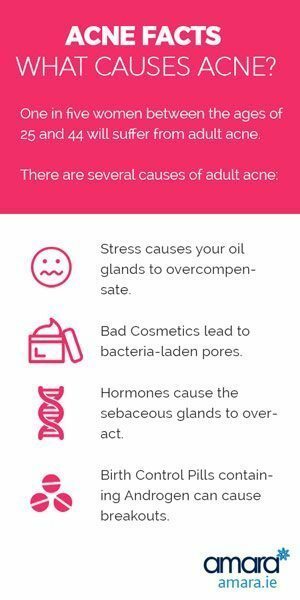 Particularly if you have never suffered from acne before you may be surprised to learn that what you have is really rosacea, or even another skin condition altogether. If you suddenly develop an acne-like rash or begin getting pimples for the first time in your life, you should see a skin health consultant. Certain skin conditions can look just like acne. Getting the correct diagnosis is an important first step in successfully treating your skin and one of the best ways of treating acne is being diagnosed with something else that can then be treated. Acne Facts – What Causes Acne? Stress causes your oil glands to overcompensate. Bad Cosmetics lead to bacteria-laden pores. Birth Control Pills containing Androgen can cause breakouts. We can also end the myth that chocolate causes acne. While chocolate won’t cause acne research shows that dairy can cause acne to flare-up. So if you like chocolate (of course you do), stick to dark chocolate. Cleanser: Pick the right cleanser. Look for medicated cleansers with salicylic acid. Exfoliate: with a Salicylic Acid treatment, which will clean out pores. Just don’t exfoliate too much or scrub too hard. Two to 3 times a week is perfect. Why will your acne improve and benefit from a good facial? The reason for this is because acne is not a disease, rather it is a skin condition and a good skin consultant knows exactly what your skin needs, in clinic and at home, to treat your acne. Too many women wait to see a doctor for their skin problems. If you have basic acne, treatments with salicylic acid to unclog pores and reduce bacteria on skin should do you, but for serious acne, a dermatologist/skin specialist has an arsenal of products to clear up your skin i.e. retinoids, antibiotics and Accutane. Severe cases are traditionally cleared up by Accutane, which is a 5-month plus course that is considered the most effective treatment available. However Accutane is controversial and can lead to a host of side effects including birth defects if taken during pregnancy. Other side effects can include severe depression, Crohn’s Disease and Ulcerative colitis. We recommend using ZO Skin Health Programme which can only be prescribed after you have seen a skin health specialist. This programme is tailored to your skin and will treat any issues including acne and will help anti ageing as well as maintaining your day to day skin. Much more than a facial the HydraFacial MD is a 6 step treatment that deep cleans your skin, cleanses, exfoliates and hydrates. The HydraFacial Machine uses vortex technology that will improves the appearance of your skin after just one treatment. Not only for Acne the HydraFacial is excellent for general signs of aging like pigmentation, texture and tone. The Acne prevention and Treatment program by Zo Skin Health was created by Dr. Zein Obagi a world renowned dermatologist and innovator. 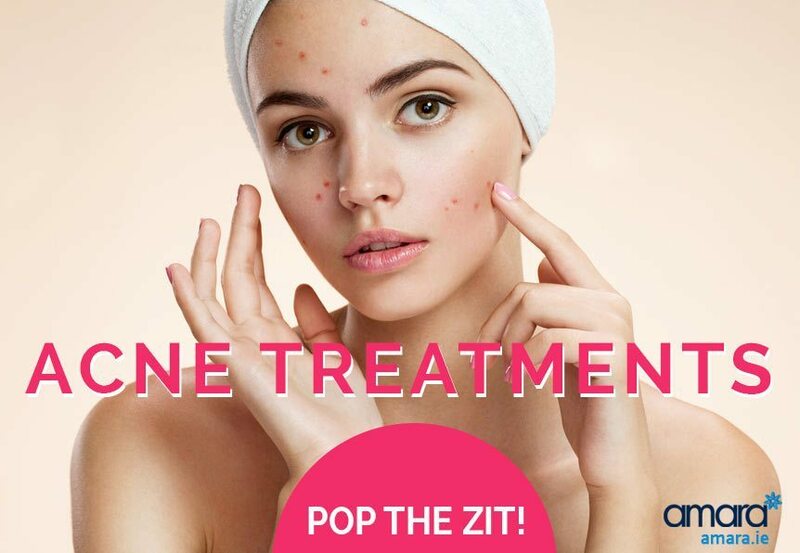 The Acne prevention and Treatment program by Zo Skin Health is based on the latest advances in skin therapy technologies: unique delivery systems, bio-engineered complexes, and exclusive formulations to provide continuous skin health for acne prone skin. ZO Skin Health can also be used to treat many skin conditions such as rosacea. Medical Micro Needling is the perfect treatment for those of us who already have acne scarring. Using a Dermaroller we encourage the skin to restore and defend itself by producing collagen and elastin and generate new skin cells. This improves the thickness of our skin (Dermis and Epidermis) and also creates a more youthful glowing appearance. Think You Have Might Have Acne? Are you concerned about your skin, think you have acne or need an acne treatment? If so book a skin consultation with our skin health specialist for your skin assessment and we’ll advise you on how to treat your acne.